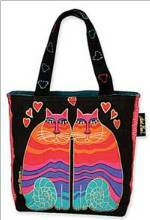 Margo Handbag Pattern - Retail $12.00 [LGD127] : Wholesale Purse Patterns, Purse Patterns at wholesale prices for quilting shops, craft stores, and fabric shops. 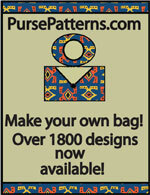 The Margo Handbag pattern has a secure top zipper, front pockets, and 6 organizational pockets inside. 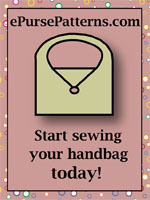 The double handles are shoulder length and there are instructions included if you do not want a top zipper. Finished size is 10 1/4" x 9 1/4" x 4". 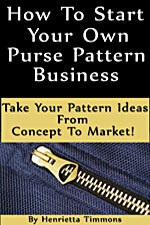 This pattern uses the Bag-E-Bottom #F, which we also carry!